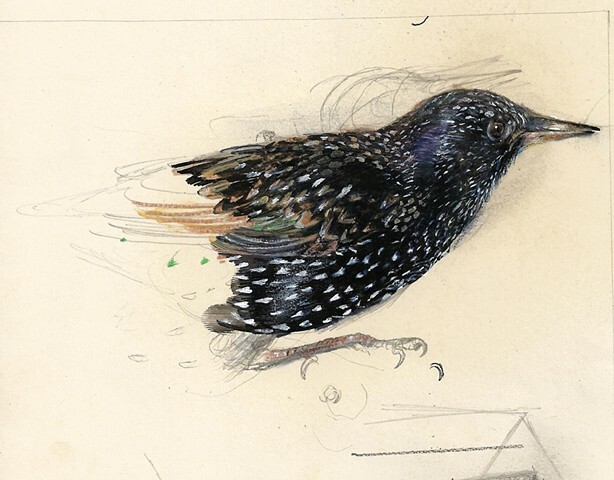 "A starling came to my window and told me something I did not understand." Ball-point pen, acrylic, and eyeshadow on found paper. On view at Edenside Gallery, Louisville, KY. June 2013.